We have big plans for our InMoov as our build continues and have been happily working with the Lenovo Thinkpad 8 but as good as the tablet is; it's performance is limited. We still want to be able to house everything inside the robot and not have it tethered to anything externally so we've been looking for something small with enough performance for us to be able to realise our ideas. 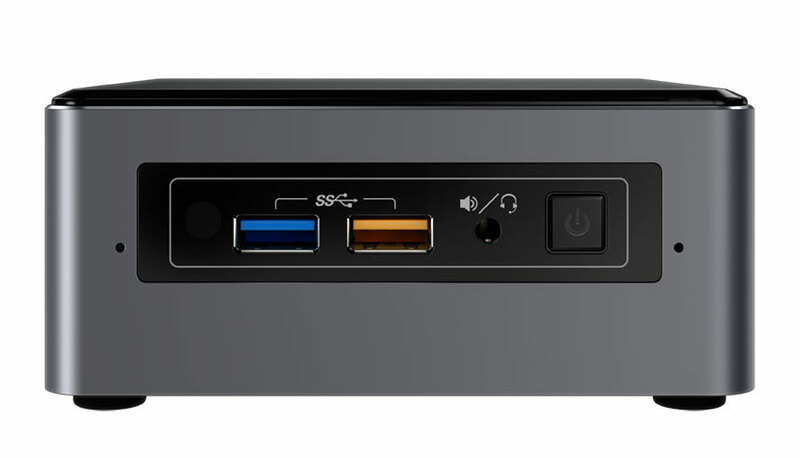 We've been thinking about getting an Intel NUC for some time as the performance, storage and connectivity options are excellent, the form factor is tiny and the ability to run from battery power if and when needed should be relatively straightforward. 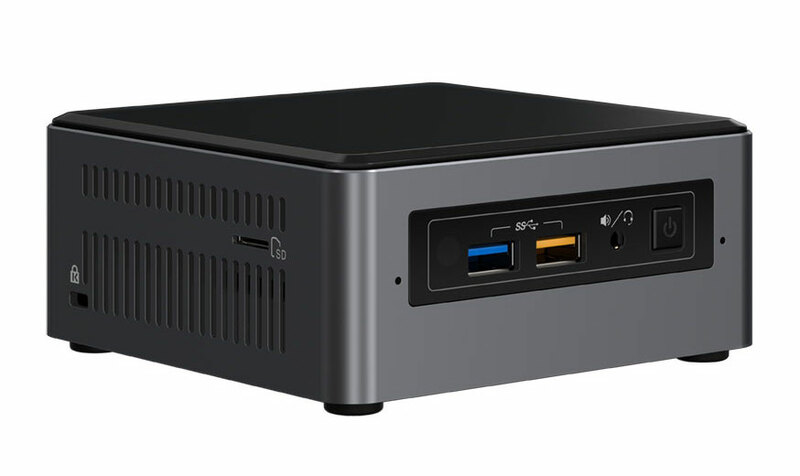 We decided to go for the Intel Core i5 flavour of NUC as performance and price are acceptable, we chose the NUC7I5BNH which comes with a dual-core Intel i5-7260U CPU and we've added a 240GB M.2 SSD, 8 GB RAM and a fresh copy of Windows 10 Pro to get things going. We chose the 'Tall Baby' as we will be able to fit an additional 2.5" drive later when we need more storage space. Our idea is to run all of the main software for the robot on the NUC so it can take care of all the heavy lifting and use the Thinkpad 8 for the main user interface and control. This dual machine approach should allow us to really expand upon the capabilities of the robot and give it far more power than we had before which opens up a lot more avenues for us to explore. 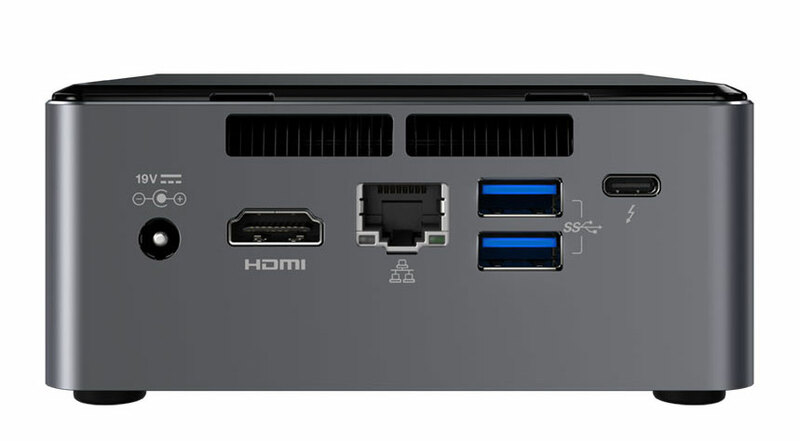 We did think about fitting an Intel NUC board instead of a complete Mini-PC but we like the ability to easily use the NUC outside of the robot for the time being. Once we have everything setup just how we like it we may explore the idea of properly integrating a NUC board into the InMoov chassis alongside the Arduino boards. We'll now start looking to modify the robot parts in order to house the NUC and get the software configured accordingly, stay tuned for updates on this.